The DeKalb County School District implemented a new curriculum August of 2017 in the required K-12 core courses and selected Career, Technical, and Agricultural Education (CTAE) pathway courses. It was characterized by the school district as an intense instructional road map while providing flexibility to accommodate individual student needs. I don’t think the district planned on collecting feedback so soon, but I’m getting flagged down in parks and football games. So let’s use this forum to provide feedback on Curriculum, Assessments and Lesson Planning. What message can I take to Superintendent Green and Lisa Martin, Chief Academic Officer, Curriculum & Instruction. This open letter was written to the board and published by the AJC. A number of principals and teachers have indicated they feel exactly the same way. This is my 12th year as an educator. I have put my blood, sweat, and tears into helping my young students reach their potential. I work very diligently to plan, teach, and challenge myself to always improve. But I am being pushed to consider leaving DeKalb, and one reason is the rollout of the new curriculum. The curriculum was launched and not fully uploaded before school began. As an educator who takes time to plan a scope and sequence, this makes it difficult to see the big picture of where I am being expected to guide my students during the year. The new kindergarten curriculum has been evaluated by my school’s team. We agree it is chaotic, disorganized, lacking substance, and fails to follow a logical sequence of concepts and skills. As a team, we had already planned a curriculum map for this school year based on the Georgia Standards of Excellence that includes a project-based approach to science and social studies. I am proud to be part of an excellent teaching team focused on helping each unique child achieve. However, we are no longer allowed to follow the excellent plan we created. We are being forced to follow a curriculum that we know is not in the best interest of our students. My school includes many students on or above grade level. If I follow the new DeKalb curriculum, the majority of my students will not be challenged and will be ill-served by a system that treats all students the same. Another problem is the new lesson plan template. I understand and advocate that lesson plans should have required elements; our kindergarten team already includes these elements. What I don’t understand or advocate is all educators using the same template. It is not developmentally appropriate that a kindergarten and 10th grade lesson plan are the same. A 5-year-old and 15-year-old are different. Why are we not recognized as professionals who can create our own template that includes the necessary elements? Why are we continuously told we are not doing enough? 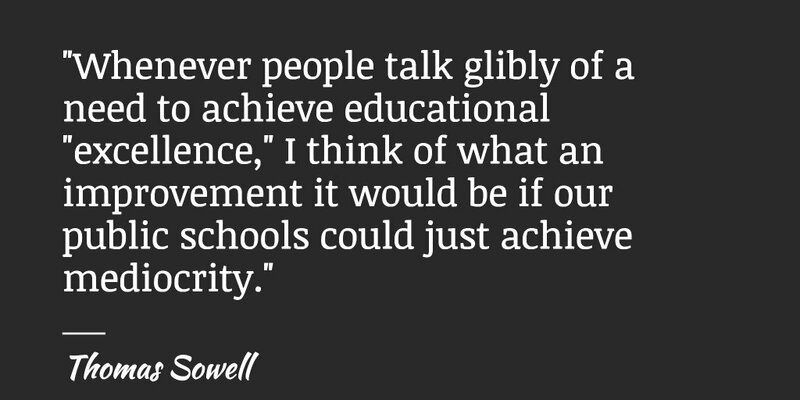 Why are schools that are excelling being treated as if they are failing? The lesson plan template is not user-friendly in that each subject is broken up and you cannot see a weekly plan as a whole. The template is technologically archaic; there are no easy-to-use dropdown menus. Therefore, we have to spend hours copying and pasting standards, essential questions, big ideas, engaging scenarios, extra unnecessary work just to make our format the same as all the educators in DeKalb. I will have to write a 20-page lesson plan for each week just to appease the enforced format when I could use my own format that is five pages and includes the elements I need. This is a massive waste of time and money as you can imagine how much more paper will be wasted in printing out these plans each week. There are 8,500 teachers in DeKalb County. Each teacher is roughly using 15 more pages a week than normal. That is 127,500 more pieces of wasted paper a week. All 8,500 of us will be spending so much more time following this enforced order instead of spending time to plan quality instruction that will engage and support the growth of our students. My last concern is the convocation at the Gwinnett Infinite Energy Center. A speech made by a school board member assumed everyone in the audience was Christian with multiple references to Jesus Christ. It was a sermon rather than a speech. In our nation, we have a clear separation of church and state. Not every educator in DeKalb shares the board member’s religious beliefs. It made me uncomfortable for all the unique and diverse educators present. We have a great opportunity for DeKalb to be lifted up and for our diversity to be celebrated. After all, the motto “All Rise” states all people involved will be lifted up. DeKalb is on the brink of losing dedicated, experienced, passionate educators because our professionalism and expertise are not respected and valued. Who will suffer the most? All of the precious, unique children that DeKalb seems to desperately want to all be the same. I thought Maureen Downey made a good point on her Get Schooled blog. She must be great at her job as she is sought after – just about every major name in the industry has offered her a post. When people are doing well, leave them alone. And make sure 98 percent of their time is spent on selling, not paperwork or meetings or training for something they already know how to do. The teacher who wrote this essay is a successful teacher in a successful school. I would leave her and her school alone — one of the central tenets to every Georgia reform effort that I have covered has been to let high performers keep doing what they are doing. Yet, we never do. We make everyone jump through the same hoops. I have never seen any evidence or research that more paperwork for teachers improves outcomes for students. This entry was posted in Academic Achievement and tagged curriculum. Bookmark the permalink. People who sit in Green’s cabinet meetings claim that Green is very unprofessional and that he frequently bullies administrators — he yells and humiliates them in front of the entire cabinet. I’m sure many of your blog readers are thinking that’s great since the Palace is FINALLY getting what it deserves and it has been a long time coming! But it’s not great, it’s another trainwreck. Green is implementing Beverly Hall’s model. To me, Green seems to be doing exactly what Beverly Hall did. Green is sinking a ton of resources into PR to convince local politicians and local media that the district is doing great, just like Beverly Hall did. At the same time, he is bullying administrators and teachers to make them too terrified to talk candidly about problems in the district…. just like Beverly Hall did! Firing Segovis and those other principals who were in Dekalb’s hardest schools was straight out of Beverly Hall’s playbook. Ditto the big pep rally, that was another Beverly Hall tactic. I hope and pray that I’m wrong about Green, but I don’t think I am. Anyway, the new curriculum is awful…but you are not going to hear that yourself. The experts in the district who could explain to you how bad it is are too afraid to talk to board members. My understanding is that Thurmond bullied administrators that way. I haven’t heard that about Dr Green. So, I’m confused … has it been practice all along for individual teams to develop their own curricula using simply the state’s minimum standards? I used to look and look for a published DeKalb curriculum – I could find my little hometown in Ohio’s curriculum – online, but never DeKalb’s. I was once told that DeKalb used the state’s guidelines as a ‘base’. That’s it. Setting a standard curriculum is critical – what if your child’s team isn’t setting one as rigorous or deep as others? There are fabulous curricula available all around the country – pick one from a thriving district and use it. There’s no need to reinvent the wheel here. A good curriculum is a valued road map. I do think we need one, but sadly, this just looks like another pile of paperwork and another reason to hire more administrators to monitor that paperwork. Here’s the simple truth most teachers understand: There is no cookie-cutter path to teaching kids. 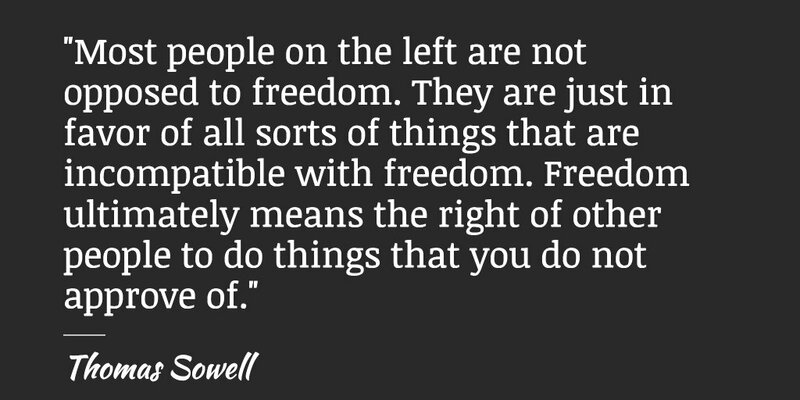 The two methods are polar opposite, so they can’t both be right. Let teachers teach! Let teachers be the professionals they are. If they are successful, LEAVE THEM ALONE! If not, then let’s figure out why. That requires administrators to do more than take a cookie-cutter approach to staff development, because there is no cookie-cutter approach to administrating…or teaching. The roll out of the DeKalb Curriculum has been awkward at best in many areas. The pretests for unit 1, at least in middle school, contained errors, omissions, and most impressively, grammatical errors on one Language Arts section. We haven’t see the post-tests yet, nor pretests for the next unit. Of course, most teachers figure out what their kids need to be doing without these largely useless tests, but they are a non-negotiable mandate. The lesson plan format is also a new burden that is “non-negotiable”. Clocking in at a weighty 4 pages, the document is so unwieldy that it takes far longer to write than it does to teach the lesson. The curriculum itself is also full of non-negotiable “engaging scenarios” that are designed to increase student interest, but many are ill-conceived and difficult to implement. Further, anyone who has taught for even a little while has figured out ways to engage students with materials that they have developed themselves that fit both their teaching style and the learning needs of their students. I get that DeKalb is trying to standardize things across the county to mitigate some of the real and perceived differences from one school to another. A county curriculum guide containing suggested lessons and resources would be a valuable asset, especially to new teachers. This curriculum, which took vast resources to create, is not that asset. I don’t speak for the board, but the flexibility of the curriculum and assessments was a big selling point. “Providing flexibility to accommodate individual student needs.” That was the answer to all my concerns about different communities need different things. Non Negotiable – Can you be more specific about where you need more flexibility? Explicit Pacing – How does the explicit pacing with this curriculum coincide with the concept of Curriculum Compacting (a technique for differentiating instruction that allows teachers to make adjustments to curriculum for students who have already mastered the material to be learned)? There does need to be a curriculum that covers content. I think that the hard part is that the lesson plan that I would prepare for an Advanced class and a special education class would not be the same. 1.It does not mean that I do not cover the content, but the strategies that I use to cover the content could be different. I do not think that the lesson plan allows for those differences. 2. I think that some principals and AP’s do not understand the procedures well enough to explain and support their staff. I think the frustration is that some of the administrators cannot support their staffs in working out the issues. How did the district determine that the school leaders understood the procedures? Just sitting in a class and hearing information does not mean that the leadership understood it. For something this major I hope that there is on going support of school leadership so that they can work out the issues at their schools. Of course to do that, you must first listen to the issues. On-going professional Development was emphasized. The phrase non-negotiable was used often during training. The message was that if it was in the curriculum, all teachers are expected to complete the tasks. One DeKalb, one direction, all schools. While a teacher might adapt a lesson to fit certain learners, there was little flexibility. Pretests and posttests were mandatory. Many of the new materials have yet to become available online. During the prescribed time period for a unit, teachers are free to expand upon the curriculum. Not really sure if compacting is truly part of the plan. In the final analysis, I found the curriculum to be more restrictive with its added requirements than useful. Perhaps worse, ask teachers about the Response to Intervention (RTI) process. While well intentioned, the paperwork burden upon teachers with struggling students is unmanageable. So we’re what, three weeks in. So far my son, in advanced classes at one of the best middle schools in this county, has completed map testing, pretests that have spelling errors, the code of conduct, and has spent weeks reviewing what was done last year. He had one assignment in Georgia History that called for him to go on Yelp and find restaurants in the five sections of Georgia, then write a persuasive essay on this (to quote: “convincing Man vs Food that this location is the best”). Not a historic site he might want to visit, not maybe a town or area that’s historically important, but a restaurant. So he spent an hour trying to find restaurants on Yelp. This is ridiculous. Maybe this works in some schools in DeKalb where perhaps focus is an issue. But there are a lot of kids who need to be pushed, to be challenged. Having one curriculum with these ridiculous tasks coming down from on high in insane. Teachers need to teach to the class. Even in the same school, some classes move faster than others. Why not give teacher freedom to use these tasks as a framework not a mandate? Well, I guess if you have a forced convocation in Gwinnett (why not in DeKalb) you’re not open to solutions. Yes…We are three weeks in. Parents and community stakeholders were told of the wonderful renovations @ Stoneview Elementary School..This is not true. Student bathrooms are not complete, no air in the gym, over crowded classrooms and trailers, bugs in the cafeteria, dust and mold from the 1970s in classrooms..Upper grade level students are already out of control…can’t find 4th and 5th grade teachers..subs won’t come..you have to gain control of the student body first..we have been told students have fought and needed medical attention..but the nurse does not get there until 8 and she leaves @ 2..what happens if a child needs medical attention before 8 and after 2? Why is it, kindergartners have to walk all the way to the third Hall from the first Hall, to get to the nurse’s station…they are often lost and crying..The Principal is trying…But her APs are ineffective, non caring and lazy…THe Principal needs real help..why have a school dance before you have control of the student body? Where are you BOE? How can the students and parents Love DeKalb under these conditions? Send real help to the new Principal…talk is cheap!!! Eric, If it makes you feel better, gyms in most schools have never had air. 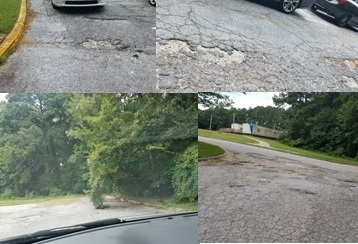 The Contractors had all summer to get Stoneview ES repaired and prepared…they did not..What happened to spreading the E-Splost funding equitably? This is why there no is always comparison between North and South schools..Parents…Wake UP!! By the way Stan..it’s not about me feeling better..it’s about the students and the staff..they deserve better!!! Here’s what I’ve seen so far. Government students are to spend two weeks creating a fake country rather than focusing on the founding philosophies and Constitution before moving on to 4.5 weeks of the three branches. There is really no time in the pacing to deal with beginning of term expectations such as class norms, syllabus, the fact that we have to have 2 fire drills in the first 10 days, class meetings, teaching the county discipline handbook. 4th graders pretest suggest only 1 colonist wanted Independence from England. Kindergartners are asked to x out our state flag, Economics students go on a feel good journey about how they make choices. While the concept is good in theory, it’s been botched beyond repair in practice. Does the curriculum cover career tech classes? At the career tech center, there are classes that are only offered at these schools. Were these included in the curriculum? Ask the administration when this “on-going Professional development” takes place. Dekalb has an interesting way of ignoring the time teachers need to prepare for lessons, prepare materials for activities, grade assignments (this is probably more of an issue at the middle and high school levels), enter grades, tutor students, etc… I guess as long as you are being told this is happening no one ever has to show how it’s happening. You should also ask who in curriculum and instruction actually sat down to complete one of these time-consuming plans and how they used this data to plan for the school year. One would think that school administrators wouldn’t be giving teachers three or four different classes if they knew how long just one of these plans takes to complete, if the teacher with so many different courses is taking the lesson plan seriously. You ask about flexibility. Why wouldn’t schools have the flexibility to use these as they see necessary? I can’t understand why experienced teachers with satisfactory or exceptional evaluations and decent student performance data need to do these the same way a new teacher who hasn’t had to envision a month’s curriculum. However, I don’t think these plans are really going to help a new teacher or his or her students. I think our students would benefit more from real feedback and user-friendly activities and strategies administrators could provide (of course this assumes administrators have the ability and interest). Wouldn’t it be more efficient and more important to have administrators review teachers’ classrooms and then give specific activity to use and organization strategies? In the same way I asked about the time to complete these plans, who figured out how long it would take for administrators to review such plans? I wouldn’t even know where to begin if I were an administrator using one of these plans to evaluate a teacher’s classroom. You also asked about support. I wouldn’t say these units offer support. They provide characterizations of types of support so that teachers can check off boxes. 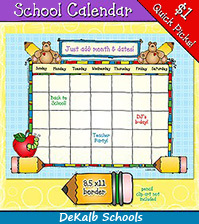 For example, I can’t see anything in the longer units that specifically tells teachers how to organize collaborative activities for this specific unit with students needing this accommodation or students with these learning needs or how these units give teachers print-friendly collaborative activities. In other cases, we teachers are directed to links to articles and websites. Again, who walked through these to see how long it would take to read about a specific teaching strategy and then figure out how to apply it to this unit? Why weren’t the people making these units doing that so that teachers could easily pick the “support” pieces that would work for their students. I would also suggest you find out why the new units our school district paid for include materials and resources that other school districts produced. We have many instructional specialists, coordinators, and curriculum and instruction gurus. Why aren’t we making our own materials?